Johnny Cash: American Rebel, an original CMT documentary combining original interviews with family and friends, will premiere on the network on the 12th anniversary of Cash’s passing (Saturday, Sept. 12 at 9 p.m. ET/PT). The film features for the first time Cash’s children: John Carter Cash, Rosanne Cash, along with June Carter’s daughter Carlene Carter. Eric Church, Sheryl Crow, Rodney Crowell, Clive Davis, Merle Haggard, Kris Kristofferson, John Mellencamp, Kid Rock, Rick Rubin, Willie Nelson and more will also be featured through interviews paired alongside archival concert footage, photographs and personal artifacts from The Man In Black. Johnny Cash: American Rebel is built around 12 essential Cash tracks spanning four decades including “Folsom Prison Blues,” “Jackson,” “San Quentin,” “Man In Black,” “Sunday Morning Coming Down,” “Ring of Fire,” “Hurt” and more. Each song illustrates a chapter in his life, as well the story of an ever-changing America from the 1950s to modern day. Derik Murray and Paul Gertz from Network Entertainment executive produce. Jordan Tappis directs and Derik Murray co-directs. Jayson Dinsmore, Lewis Bogach and John Miller-Monzon executive produce for CMT. 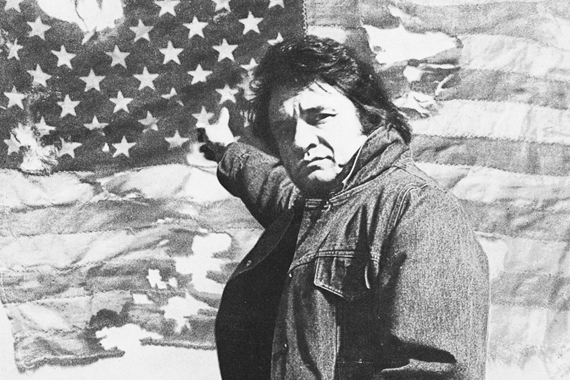 Johnny Cash: American Rebel marks the latest in a series of original documentaries from CMT. The first, Urban Cowboy: The Rise and Fall of Gilley’s has been seen by more than 9 million viewers. Over 5 million viewers tuned in for Morgan Spurlock’s Freedom: The Movie, which premiered last month. A sneak peek of Johnny Cash: American Rebel, is available here.